You can feel every hit, crash and explosion—dual vibration feedback makes your games more realistic and immersive. All the controls are just where you expect them to be thanks to the standard button layout of this gamepad. From old standbys to today’s biggest titles, the Logitech Rumble Gamepad F510 is easy to set up and use with your favorite games. Vibration feedback lets you feel every hit, crash and explosion in your PC games. Get more from your game with intuitive control and exclusive digital items! Learn how to get more from your game. A familiar-feeling gamepad with broad game support and dual vibration feedback lets you feel every hit, crash and explosion in your PC games. Logitech gamepads. Broad game support. Because you just want it to work. You want to play all the latest games on your PC. But you still love the classics. 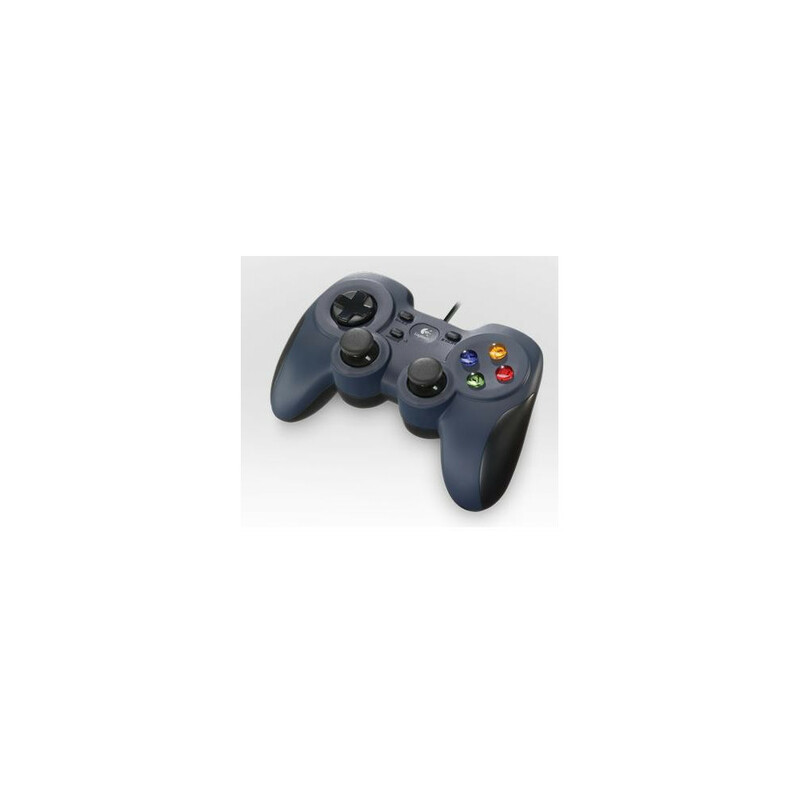 Now, you can play just about any PC game with one Logitech gamepad. Our newest line-up of gamepads support the two most common input standards used by game developers—DirectInput and XInput. Playing nice with old and new standards. 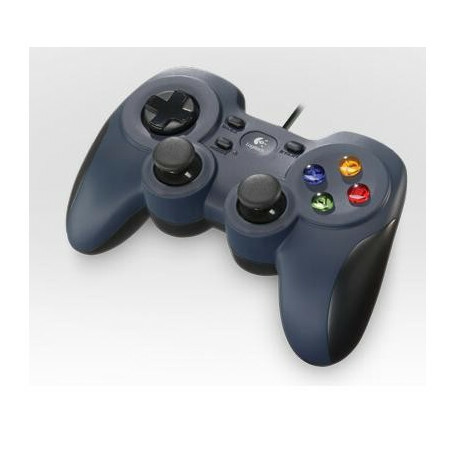 You may be considering a Logitech gamepad to give you console-style control of your PC games. But because the way that gamepads communicate with the PC has changed (see below), not all games and controllers work together. Until now, most gamepads have only worked well (if at all) with old games or new games—but not both. Why? It all comes down to input standards—in other words, the way peripherals talk to your computer. In a nutshell, older gamepad-enabled games use DirectInput to communicate with controllers, while newer games tend to use XInput instead. So if you’re trying to play a popular DirectInput game with an XInput controller, then you may not get the benefits you’re expecting. Hits? Crashes? Explosions? Vibration effects? Nope. You won’t enjoy them. Your analog trigger buttons? They won’t act independently. And if you’re trying to use a DirectInput controller with an XInput game, your controller won’t function at all. On the other hand, if you want to play an old classic, DirectInput controllers offer advantages that XInput controllers don’t. With a flip of a switch, the new Logitech gamepads will work with whatever game you’re playing—whether it’s an old standby or one of today’s biggest titles. Plus, Logitech Profiler software gives you gamepad support on games that aren’t even developed to support controllers. With Profiler software, you can customize your experience with fully programmable controls that can emulate keyboard and mouse inputs. To better understand why input types are even an issue, you have to understand the recent history of API (application programming interface) standards. When you plug your gamepad (or mouse or keyboard) into your gaming platform, the two talk to each other through an API. To meet the demand to play games on the PC, in 1995 Microsoft developed DirectInput, which offered greater gaming functionality over the original Windows® API (Win32). 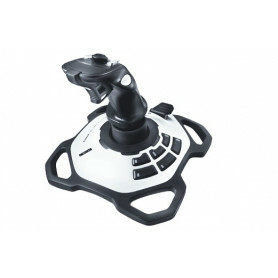 DirectInput was originally designed to support only joysticks. Over the years, Microsoft put out numerous updates to the DirectInput standard, adding support for mice, keyboards, as well as support for added functionality, such as force feedback. When Microsoft introduced the Xbox in 2002 (the name is a derivation of DirectX, a collection of APIs of which DirectInput is just one), the company created a new API standard for peripherals: XInput. Today, most developers create blockbuster game titles—think Call of Duty®—for console gaming and use the XInput standard. And though the games usually are ported over to the PC, developers have made XInput the standard. You shouldn’t have to have two controllers. Or compromise your game experience. 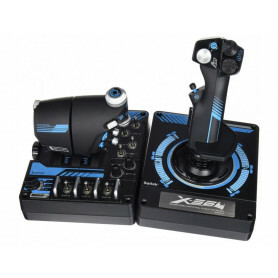 That’s why our newest gamepads are designed to work with both XInput and DirectInput. So, want to switch from an XInput to a DirectInput game? It’s easy. You simply flip a switch on your gamepad to change between the two inputs and play the games you want to play. 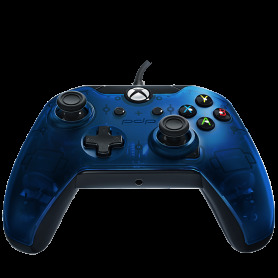 And you can play them all with the added macro functionality that a DirectInput controller gives you. Got games that don’t support gamepads at all? Our Profiler software lets you configure the gamepad to mimic keyboard and mouse controls so you can play them, too. When you’ve got to have access to the most games possible, you need a Logitech gamepad. Six million players can’t be wrong--that’s how many people in the U.S. are slaying dangerously cute monsters, conquering quests, solving puzzles in the free-to-play role-playing-game MapleStory. 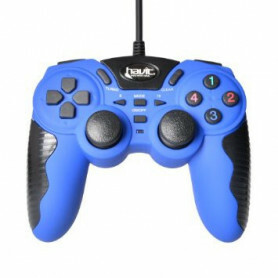 And now, you can sit back and play the game using a Logitech gamepad. Even better, for a limited time, if you purchase a Logitech Gamepad F310, you will get exclusive in-game items. Having a gamepad lets you do more in your game, but When you redeem the codes included with your Logitech Gamepad F310, you get two in-game advantages that can help you advance. * Double down: Once you activate a 2X drop special coupon, you get twice as many items and mesos (in-game currency) for each monster you slay for up to four hours of gameplay. * Have a seat: You get a gamepad chair, and your character will appear to be sitting next to a giant Gamepad. The visual appeal is cool enough, but you also can use it to recover resources. While activated, the user will regain 40 HP and 40 MP every 10 seconds. 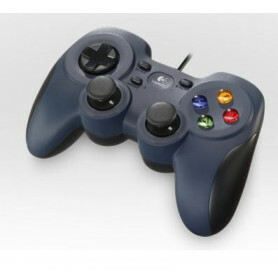 Get a Logitech Gamepad F310 and exclusive MapleStory digital items now. One of the biggest reasons people love MapleStory is the combination of its accessibility and game depth. It’s easy to jump in and get started without hours researching strategies, controls or cheats. Yet, as your player gains more experience, there are a surprising number of towns, quests and a constantly updated diversity of content. Now you can play with a gamepad – which for beginning players can make navigating towns and succeeding in combat more intuitive than mouse and keyboard. 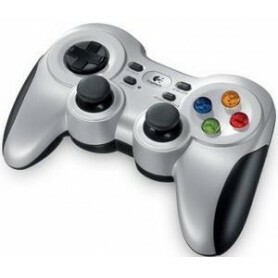 And advanced players may find the gamepad is a more precise way to play, using analog sticks and a directional pad to carefully negotiate all challenges.